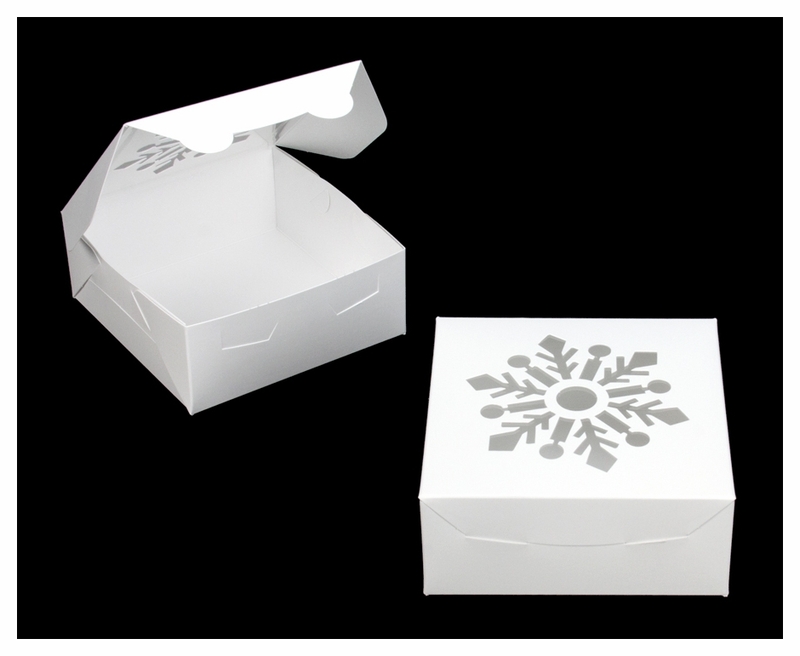 These boxes are very classy and sturdy can be used for gifts other than baked goods. They are very easy to put together and and the snowflake is very pretty. I love the different window boxes they offer. Boxes arrived quickly,easy to assemble, one dozen cookies looks great in this box. This is the second year I have ordered these boxes. Just the right size and so beautiful! 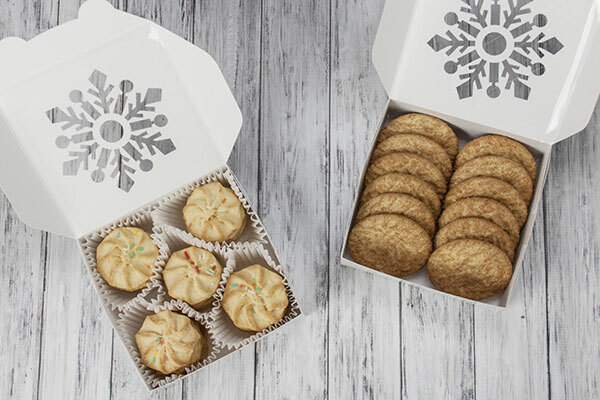 These boxes are the perfect size for an assortment of Christmas cookies for teacher/coach gifts. The snowflake window is unique and beautiful! So much nicer than what you can find in the craft stores. And they store flat until you are ready to use, so I don't have boxes cluttering my kitchen. I run a homemade treat business out of my home and use these during the holiday/winter months. They display my Buckeyes and my Baklava beautifully! Very sturdy and very pretty! Using it for candy boxes. This box has been my Christmas go-to for three years. I enjoy creating special treats for the holidays, and presenting them in this pretty box is the perfect finishing touch. We have used these boxes 2 years in a row now for our holiday dog treats and they are fantastic. Hold together well, sturdy and well made. I use this for my business and everyone loves to receive baked goods in this pretty box. 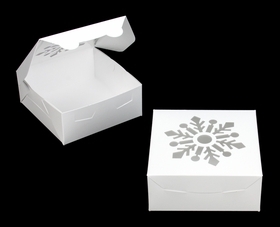 I used these boxes for a large holiday cookie order.. they held up beautifully! They are something I can use all winter long, since they're not holiday specific .. the quality is great, glossy cardboard is high quality! Really happy and satisfied with the fast delivery. The box is beautiful and good quality. If I need more boxes with a different size i will order again. Thank you. Perfect for candy boxes for Christmas! I have ordered quite a few boxes, rounds and samples from BRP. They ship fast and the products are great! Super cute for the holidays! 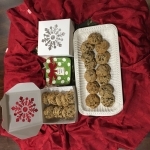 These will be great festive cookie boxes for the holiday season. I plan to use these boxes for cookies and truffles I'm baking and gifting for the holidays. The boxes are so cute, just the right size, and are sturdy since not too big. I love the snowflake design! I am very pleased with my purchase and would recommend. This box is adorable, and will make my customers feel like they're getting an extra special treat! Best UsesI sell homemade caramel, English Toffee, Fudge & Turtles, and this fits a pound of candy very well. Excellent box for seasonal items and "quick gifts"
The box is very clean and crisp looking. We are using it for our $5 gift box during the holidays. However due to its simplicity of design we can use it all winter season. I love the quality of the materials used in these products, fa superior to other boxes we have tried. Snowflake Window Box Perfect for Mini Cookies! Great packaging and pricing for the holiday/winter season! This box is perfect for 24 or 36 count mini sized cookies! The box is so pretty that you can just add a tag/bow and give as a gift! I hope BRP offers a specialty seasonal window for every holiday! I used all the boxes for a $500.00 cookie order for Christmas. 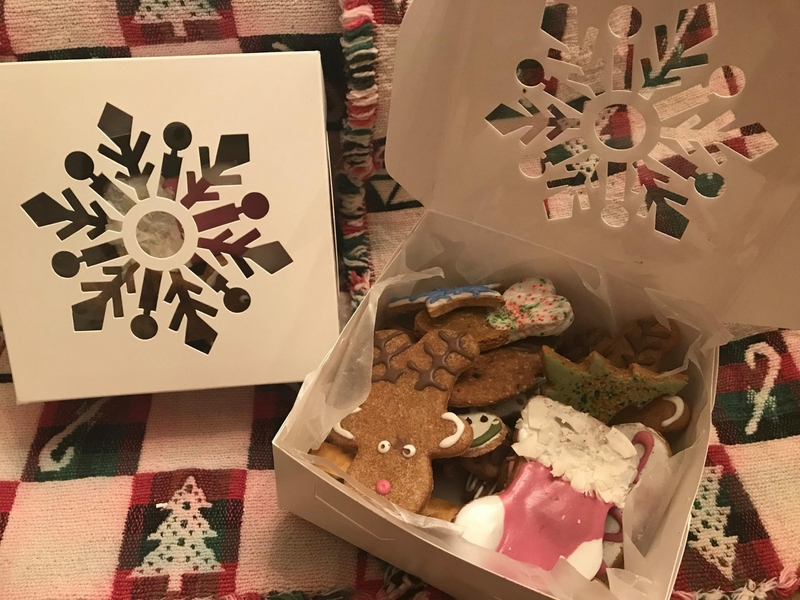 The boxes were easy to put together and the cookies looked gorgeous in them. I received the boxes the same week I ordered them and the customer service was excellent. Using this box for my Christmas cookies. It is absolutely beautiful & made very well. The design is crisp & clean. I love it ! These are super cute and festive and will be perfect for all the cake pop gift boxes I'm making this year.